Lately I was in my room watching a dance reality show. A thought just kept ringing in my head, “why can’t I dance like others”. Dancing is something which I love and enjoy doing the most. I was born as a horrible dancer which hurts me at times. Deep inside I really wish to have a elastic body language. Back in school I always came forward to dance for any occasion, unfortunately I was mostly thrown out for being a bad dancer. I love dancing to all genre of music. Very few friends know that I enjoy and love dancing. I dance in my bedroom, in front of mirror, my friends and families. I enjoy dancing with my friends. My friends are such a beautiful dancer. I really adore the dance steps and flexible body language of Tshewang and Denka, care free dancing style of my Puencha(sZ) and the very particular steps of Sonam T. They are such a fabulous dancer which makes me feel jealous :p. The last time I danced was at the birthday eve of Denka. We danced like no one was watching us. 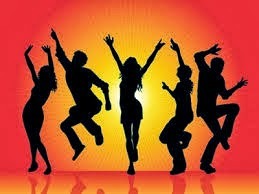 Dancing can release all your stress and for sure it is one of the best exercises. Any Body Can Dance (ABCD), the four alphabets which are struck in my head and make me smile every day. Dancing isn’t in my blood. I dance so horrible and dirty. Be it any occasion or dinner parties, the curiosity to dance are always expressed in my eyes. I never say No to dance. It is actually awkward and funny to be on the dance floor after being such a nasty and dirty dancer. If wishes were to come true, I would definitely wish to be a dancer. I salute all the beautiful dancers and sincerely wish myself to be born as an extraordinary dancer in my next life.